In a small sauce pot combine salt and cane syrup. Heat up the cane syrup until it starts to simmer. Once at a simmer, pull off the heat. Slowly start whisking in the butter one cube at a time until fully melted. Continue to whisk until the sauce cools and begins to thicken. 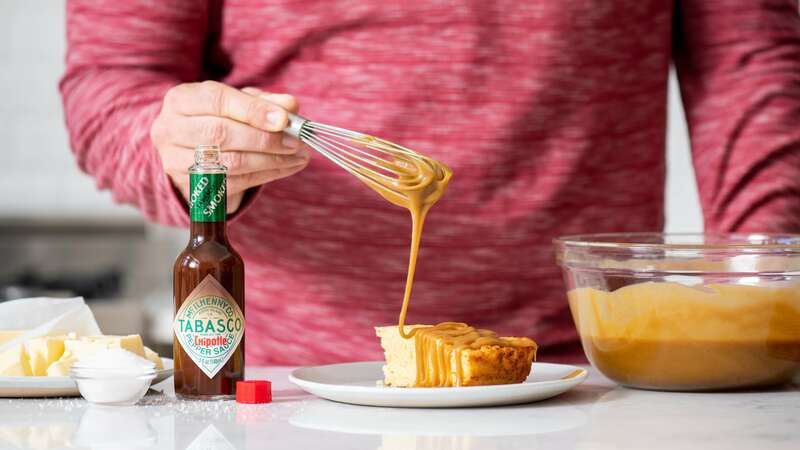 Add TABASCO® Chipotle Sauce and serve immediately with cornbread or use as glaze on grilled/roasted meats. This mixture will hold in the refrigerator. If you are using from the fridge then pull the sauce out and allow it to come up to room temperature over an hour or two. Stir the mixture as it is coming to room temp to re-emulsify the butter with the syrup.